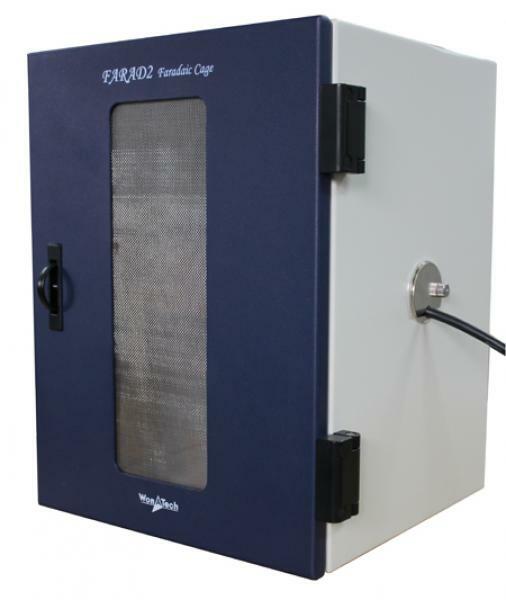 The faraday case, Farad2, is an essential item for electroanalytical experiments. It is well designed to block out external EMI noise and firmly enclosure all the components of electrochemical cell (electrodes, vials, etc.). The spacious interior allows you to set up electronic components or systems easily.